We want you to know what we know! 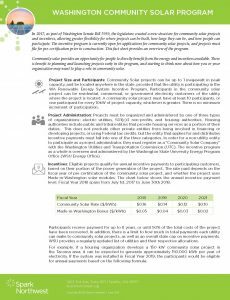 Take a look at some of these free resources aimed at helping communities organize local clean energy projects. 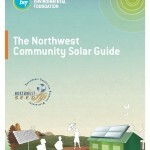 Community Solar Fact Sheets: New! 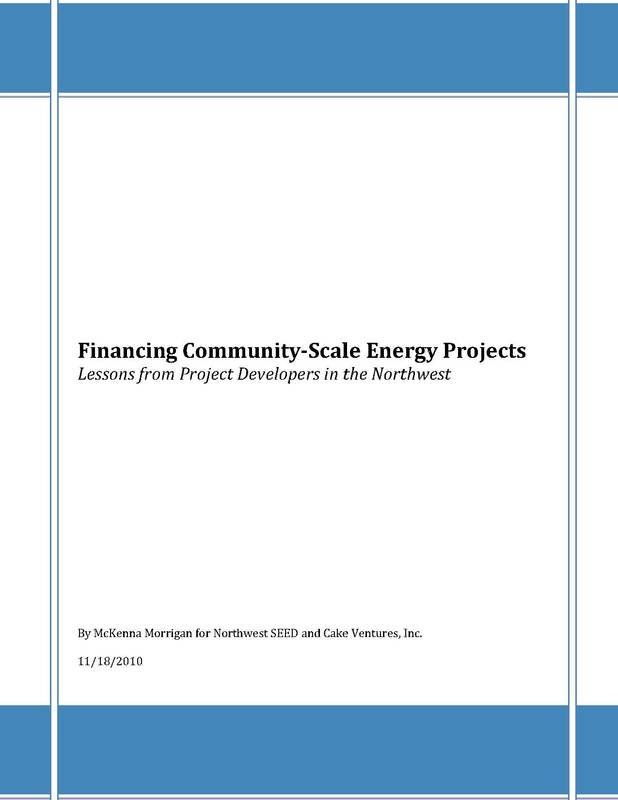 Published in June of 2018, these fact sheets give project developers and energy customers an overview of the new community solar programs in Washington and Oregon. 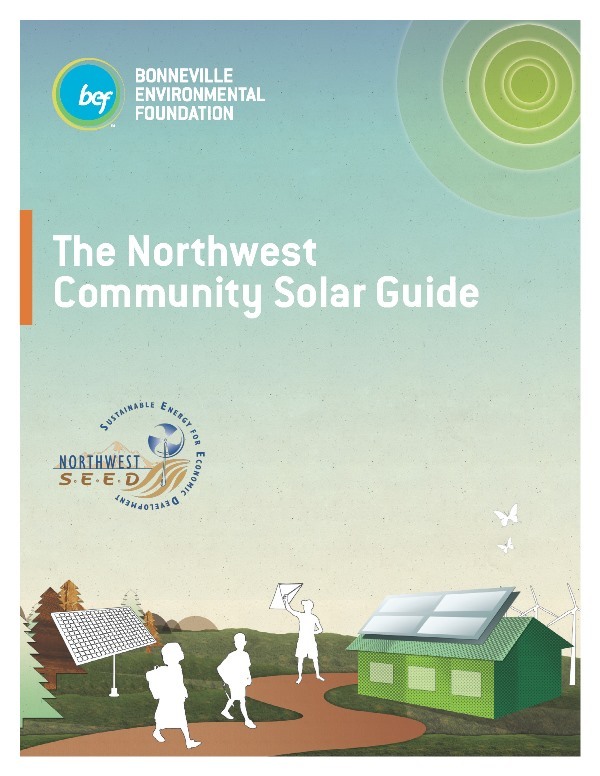 Developed in partnership with the Bonneville Environmental Foundation, the Northwest Community Solar Guide offers an in-depth look into the various forms of community solar projects. 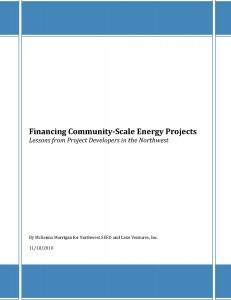 It explores the Community Solar movement and concepts; the financial and political restraints and opportunities; and a practical look at organizing and establishing a business model. 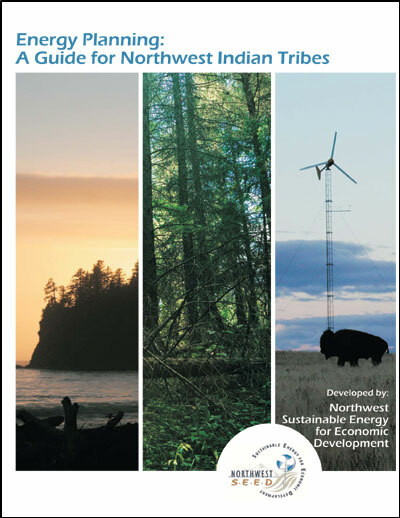 We worked with the American Wind Energy Association (AWEA) and the California Energy Commission (CEC) to produce and release a comprehensive guide for small wind turbine owners and local officials seeking to understand and improve permitting regulations affecting small wind energy systems. The Atlas was one of our initial projects. The 80-page, full-color guide presented renewable energy resources in the West, including high-resolution wind maps of the Pacific Northwest. The Atlas profiled wind, solar, geothermal and biomass power. The Atlas was a collaborative publication sponsored by the Hewlett Foundation, the Energy Foundation, the Land and Water Fund of the Rockies, Green Info Network and Integral GIS.